« “Caprica” CD Signing This Sunday! You are all welcome to bring a video camera or take photos at tomorrow’s concert. If you get some video or stills, I’d be grateful if you could share them with me: the higher quality the better. After the concert, just leave a comment below and we’ll coordinate with you. 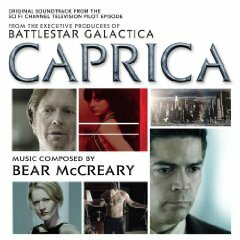 In soundtrack album news, the Caprica soundtrack CD is available and has been garnering some great reviews. 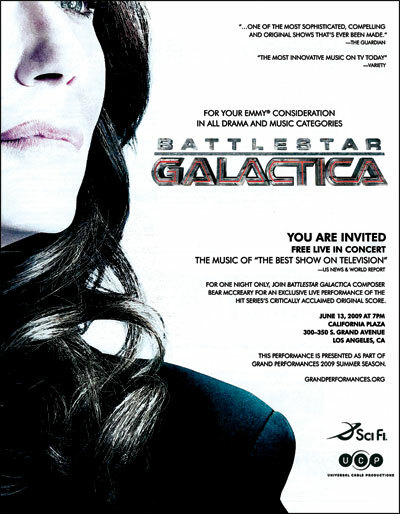 I’ve spent the past 6 weeks toiling over the “Battlestar Galactica: Season 4” soundtrack album and we’re nearly finished. We go to Bernie Grundman Mastering on Monday and then this crazy musical journey is finally complete! I will announce the track list and show you guys the final album artwork early next week, so stay tuned! See you at the concerts this summer!